39 Oceana objects that Indigenous peoples lived with and used between 1830 and 1950 will go on show at the Bard Graduate Centre Gallery in New York later this month in an exhibition called Frontier Shores: Collection, Entanglement, and the Manufacture of Identity in Oceania. 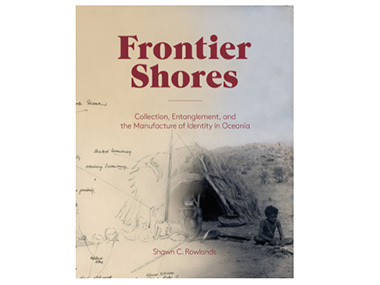 Curated by Shawn C Rowlands, Bard Graduate Center–American Museum of Natural History postdoctoral fellow in museum anthropology, Frontier Shores explores how objects were used to define the people who made them - as well a theme of cultural entanglement. 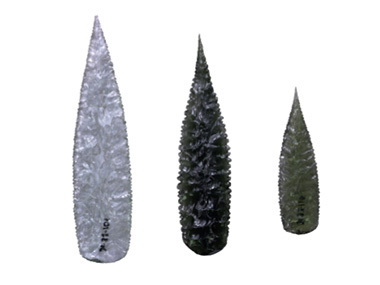 Included in the exhibition are glass and ceramic spear points from Western Australia that collectors actively sought as examples of ingenious artistic creations. A richly illustrated book and a digital interactive exploring the cultural make up and chronology of European contact, as well as lectures, gallery talks and conversations, will expand upon the theme by conveying the collection stories associated with the objects. Frontier Shores will open on 22 April and run through to 18 September. The Bard Graduate Centre Gallery is located in New York City at 18 West 86th Street, between Central Park West and Columbus Avenue. Gallery hours are Tuesday and Friday through Sunday 11.00am to 5.00pm; Wednesday and Thursday 11.00am to 8.00pm. Suggested admission is $7 general, $5 seniors and students.